On November 22, 2016, a federal district judge for the Eastern District of Texas issued a nation-wide injunction (see here) suspending the implementation of new regulations increasing the minimum salary level required for the White Collar exemptions from overtime pay (see here). Although technically the court granted the preliminary injunction to prohibit the implementation of the new regulations against plaintiffs consisting of state governments, the decision’s reasoning undermines the implementation of the rule against any employer. The court’s ruling maintains the overtime rules currently in effect under the Fair Labor Standards Act (“FLSA”). They exempt employees “employed in a bona fide executive, administrative, or professional capacity” from the law’s overtime pay requirements. 29 U.S.C. § 213(a)(1). Traditionally known as the White Collar exemption, the existing regulations grant the overtime exemption to employees meet each of three criteria. First, they must perform any one or more of executive, administrative, professional, outside sales, or skilled computer related duties. Second, the employer must pay them on a salary basis. Third, these employees, except for those performing outside sales, must earn a minimum salary at the weekly rate of $455 (or $23,660 annually). 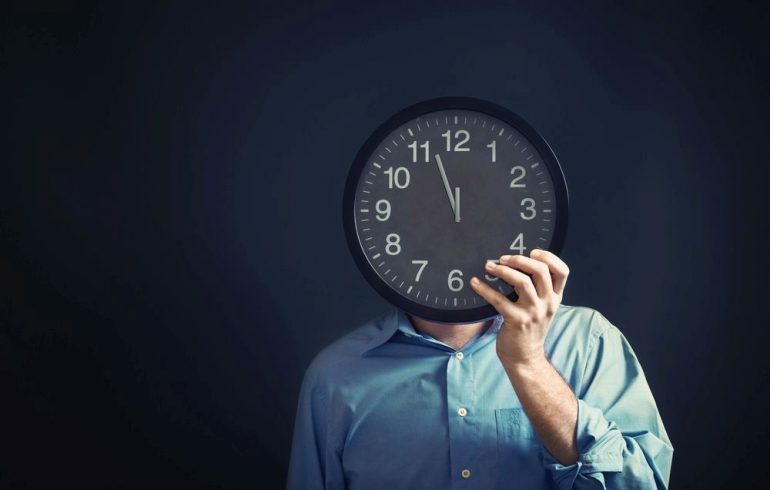 The FLSA specifically authorizes the United States Department of Labor (“DOL”) to issue regulations to define the statute’s meaning of any one or more of executive, administrative, professional, or outside sales for purposes of the overtime exemption. The DOL issued new regulations last spring that increased the minimum salary level for exempt administrative, executive, and professional employees, effective December 1, 2016. They raised the minimum salary from $455 weekly (or $23,660 annually) to $921 weekly (or $47,892 annually). The new regulations also included a cost-of-living adjustment to the amount of the minimum salary every three years, beginning on January 1, 2020. Both 21 states collectively and a group of 50 private sector businesses filed separate lawsuits in the same federal district court against the DOL challenging the implementation of the new regulations on September 20, 2016. The court later consolidated the two lawsuits. The states sought a preliminary injunction, and the private sector litigants pursued a summary judgment motion. On November 22, 2016, the court ruled only on the 21 states motion for a preliminary injunction. The private sector business’ summary judgment motion remains pending before the court. The judge granted the preliminary injunction on the basis that the new rule’s increased minimum salary effectively replaced the FLSA’s requirement that an employee’s job duties determine whether the White Collar exemptions apply. In so doing, the court denied that it was “making a general statement on the lawfulness of the salary level test for the [White Collar] exemption.” In addition, the court ruled that the DOL also lacks the authority to make automatic increases to the exemption’s minimum salary level without satisfying the Administrative Procedure Act’s notice and comment procedure. Finally, the court viewed the nationwide reach of the new regulations to require a nationwide preliminary injunction. Consequently, the court’s order suspends the implementation of the new rule indefinitely across the country. No One Size Solution Fits All Employers. Employers must now determine which course of action will serve them best, given the suspension of the December 1, 2016 implementation of the new White Collar overtime exemption rule. Broadly speaking, one of three situations describes most employers. Some employers have proactively addressed the effects of the new rule on their operations and made the changes necessary for them to satisfy its requirements. Such employers may have raised the salaries of White Collar exempt employees to rates at or above $921 weekly threshold. As a practical matter, they would suffer significant adverse consequences to the morale of the employees whose salaries increased if these employers now reinstated the lower salary rates of the affected employees. On the other hand, the reversal of some other changes made in response to the new rule would have had no real impact and an employer. For example, an employer that had announced a change in the classification of some employees from exempt to non-exempt effective December 1, 2016 could nullify that change without significant adverse effects. Of course, even in that case, the affected workers, in many cases, may have viewed such a change positively, because it would have increased the worker’s take home pay. Similarly, employers that have announced that they intend to raise salaries but delayed their implementation until December 1, 2016 would likely face strong adverse effects on the morale of affected workers. While employers could lawfully reverse the salary increases before they take effect, they may find it wiser to allow the raises to take effect to avoid the disappointment of their workers’ expectations. The loss in productivity from the disappointment of such expectations may outweigh any cost-savings that the cancellation of the raises would yield. Previously announced but unimplemented changes from exempt to non-exempt status pose a significantly lower risk of an adverse reaction by their reversal. Many exempt employees to whom an employer announced a change of status from exempt to non-exempt, viewed the anticipated change as a reduction in their status. These employees would likely view the reinstatement of their non-exempt status positively. The third category of employers (those who have not made or announced any changes) will likely make no changes to implement the new regulations. Given the uncertainty caused by the court’s issuance of the preliminary injunction, these employers may put their compliance plans for the new regulations on hold pending the trial court’s later ruling on the permanent injunction and the DOL’s possible appeal to the Fifth Circuit of the United States Court of Appeals. For further guidance on the effects of this preliminary injunction and what steps to take next, we urge employers to contact the labor and employment attorneys at Evans & Dixon, LLC so that we can find a solution that is right for you.